I hope you’re having an excellent holiday season. A few weeks ago I had the pleasure of traveling to Rwanda for Let’s Talk Coffee® Best of Rwanda, a unique supply-chain gathering bringing together over 200 people from the international coffee community. 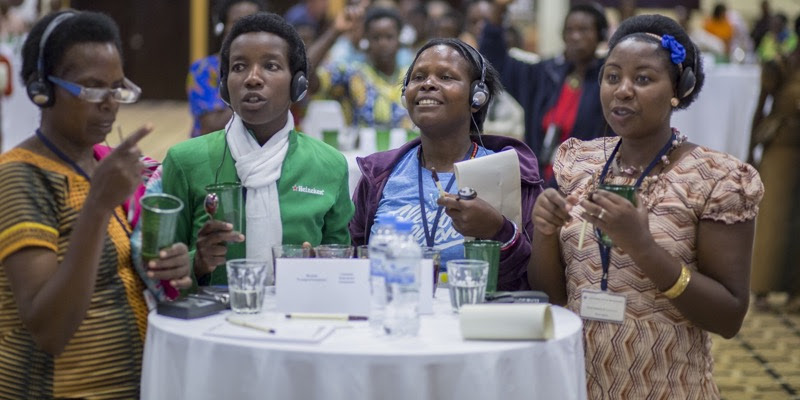 Attendees included not just 100 smallholder rural women farmers from Rwanda, but representatives from some great roasters such as Stumptown Coffee, Equator Coffees & Teas, Reunion Island, and Australia’s One Collective Group. This was the second Let’s Talk Coffee® event we’ve held in Rwanda, and it was the biggest and best one yet. When we held the first event in February 2014, we had just launched the Relationship Coffee Institute, our Rwanda operations funded by Bloomberg Philanthropies. Now, less than two years later, RCI has helped improve the livelihoods of 4,000 women through training and market access. It has been an incredible transformation for these women, and Let’s Talk Coffee® Best of Rwanda provided an inspiring celebration of them. For three days, the women met and connected with industry leaders, took part in trainings on coffeeevaluation, financial literacy, and roasting, and gained further mastery of the product they produce. (Relive the event through pictures here.) It’s hard to describe what a touching experience this was for me—two years ago these women were making very little money from their coffee and in many cases felt hopeless about their future. Now they are successful businesspeople engaged in transparent supply chains; they know who buys their coffee and how to produce what they demand. Let’s TalkCoffee® brought this amazing process to life, and it was an immense pleasure to take part in it. While Let’s Talk Coffee® was taking place in Rwanda, a team from Sustainable Harvest® attended a conference in a completely different part of the world. 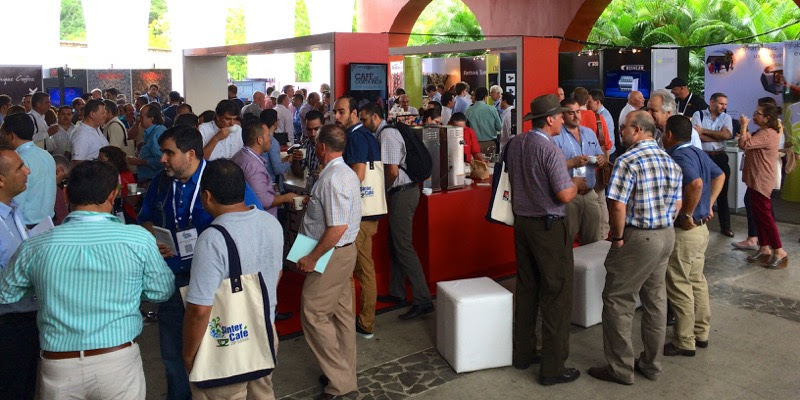 The event was SinterCafe, which gathered coffee professionals in coastal Costa Rica; Jorge Cuevas, Jorge Quintanilla, and Oscar Magro from our staff attended. This was a great opportunity for us to check in with our partner coffee-producing organizations from Central America, who are in the midst of harvest season now, as well as meet with many of our roaster customers. We facilitated some one-on-one meetings between those parties, and helped foster some great direct relationships. What’s more, our cupping app Tastify™ was the lead sponsor for the event’s cupping sessions, so our team played a key role in helping coffee tasters track and communicate their sensory experience. Our team had a great time connecting with the industry at the event, and we were happy to take part in it. Speaking of Central America, our coffees from that region are currently available for forward booking and will ship as early as January. For coffees on spot, we have some vibrant African coffees that recently arrived from Malawi, Ethiopia, and the aforementioned Rwanda. You can check out our entire selection of spot coffees here.